HIT! 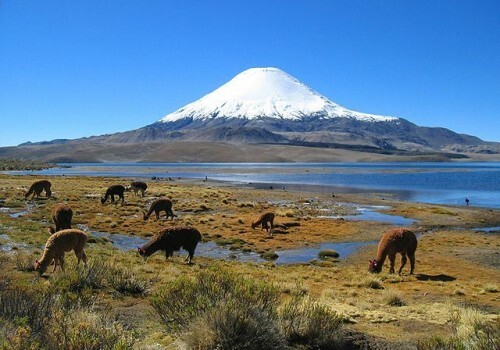 Cheap flights to Chile: Santiago de Chile for €365! UPDATE 14.2.2019: Super cheap flights from Paris to Santiago de Chile now available for only €365!! Usual price is €800+! Travel dates from March to May and from September to December 2019, e.g. 4.3.-18.3., 12.3.-26.3., 5.4.-18.4., 3.5.-16.5., 5.9.-19.9. or 3.10.-17.10. BOOK NOW, check screenshot. If you want to visit South America you have a perfect opportunity now. Return flights from Milan to Santiago de Chile are available for only €399. You can also fly from Venice for €401 or from Bologna and Rome for €412. Getting to Milan / Paris is easy from any major airport in Europe, use our search form on the right to find a connecting flight or you can also go with cheap Flixbus buses. Regular price of flights to Chile from Europe is at least €800. Travel dates are great from March to November 2017 with exception of Summer holidays. Chile is a cheap country with plenty of affordable accommodation options, so just compare the best deals with our hotel comparison page. We also recommend AirBnB with our special €18 free credit for your first reservation. You can also try Agoda discount coupon for 8% discount from all hotels in Chile. « Cheap flights to Australia: Perth, Melbourne and Sydney from €596!